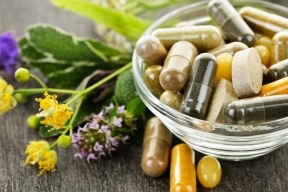 One in five cases of chemical-induced liver damage come from herbal and dietary supplements, a research review concludes. A decade ago, less than one in ten cases could be linked to supplements, researchers report in the journal Hepatology. Up to half of U.S. adults consume supplements that contain ingredients such as vitamins, minerals, teas and proteins to improve diet, as well as illegal anabolic steroids, which are synthetic versions of testosterone used to boost athletic performance, the study found. “Overall, liver injury from supplements is rare,” said lead study author Victor Navarro, chair of hepatology at Einstein Healthcare Network in Philadelphia. “However, if overused, or used in combination with other supplements, or used for very prolonged periods or in combination with conventional medications, they may become harmful,” Navarro added by email. Hundreds of prescription medicines are associated with liver damage, and serious side effects in the liver are a common reason that drugs fail in development or get recalled after they go to market. Part of the problem with liver complications is that damage can sometimes take months or years to develop, and patients often don’t notice symptoms until the injury is advanced. To assess the scope of liver problems caused by supplements, researchers reviewed data from several previously published studies, much of which was also presented at a 2015 conference sponsored by the U.S. National Institutes of Health. They also looked at 130 cases of supplement-related injuries reported over eight years in a U.S. registry of drug-induced liver injuries. Steroids, which have long been linked to liver damage, accounted for more than a third of those cases in the U.S. registry. The remaining 85 cases, however, were attributed to 116 different products, often containing multiple ingredients, that left few clues as to which individual ingredient might be the culprit, the study found. 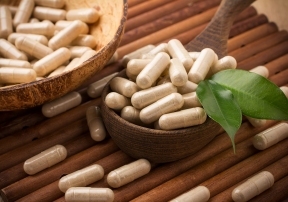 Non-steroid supplements included green tea, mixtures labeled as “Chinese herbs,” “Korean herbs,” or “Ayurvedic medications,” as well as vitamins and dietary supplements. Not all supplements are bad, said Samantha Heller, a nutritionist at New York University Langone Medical Center who wasn’t involved in the study. For example, people may need them to address certain nutritional issues tied to diseases or caused by medications. But shoppers should be wary of products that make extreme claims and too-good-to-be-true promises, and understand they can’t necessarily detect any unsafe ingredients, Heller said.